A construction company ordered truck loads of ready mix concrete to be poured to form a circular concrete tank. It turned out the concrete was out of specification, and the concrete had to be broken out leaving the rebars in place without damaging them. Hydroblast were called to inspect the problem. With over 20m3 to break out , Hydroblast decided to place its Robot inside the part constructed tank , lifting it in using the onsite crane. The circular form work , made from steel was an ideal barrier to blast against , containing the high powered jet. The task also required Hydroblast to clean the top rebars , removing “splashed concrete” from the rebars. 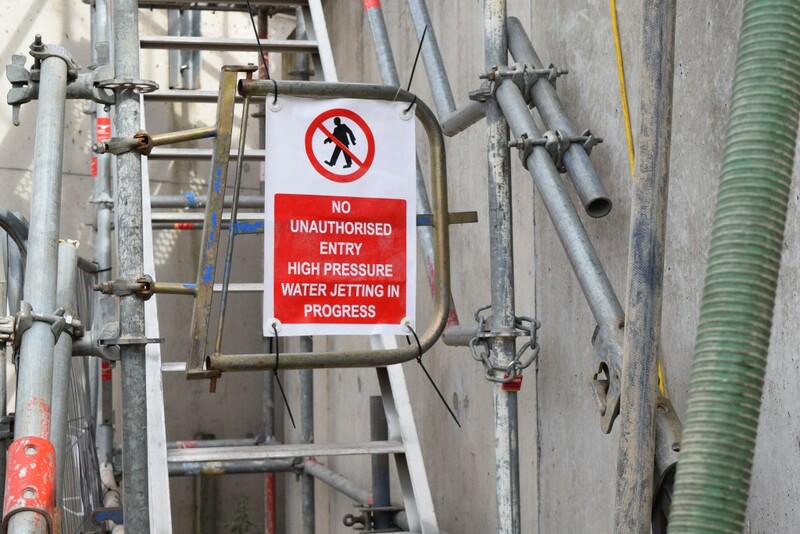 Operating at a pressure of 1000 bar , and a flow rate of 260 litres per minute, means there is over 1.9 tonnes of water hitting the concrete , breaking it away without damaging the reinforcing steel bars. 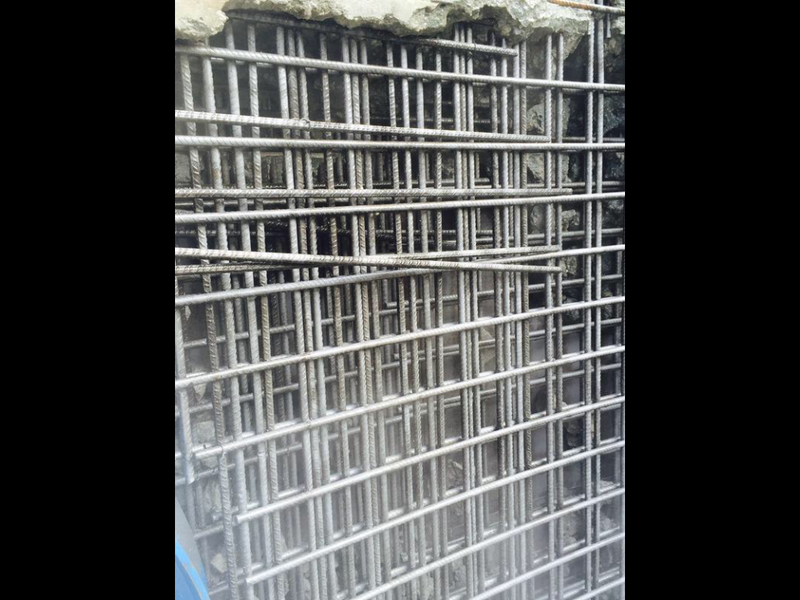 Pictured here is the brightly polished rebars , showing no damage and ready for “fresh , new” concrete to be re-poured. From the main picture above you can see the operator is standing in waste “milky” water. The chemicals in the concrete react with the water to give a pH reading of over pH11. 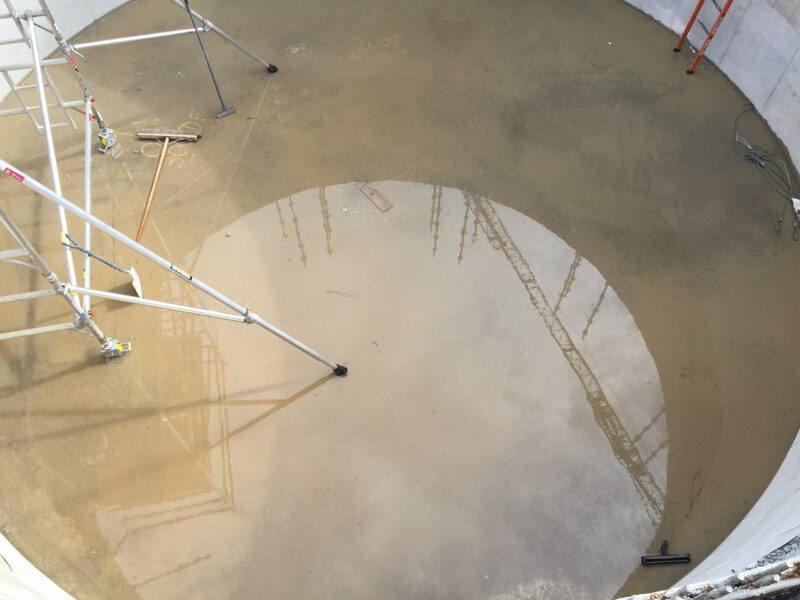 This waste water cannot be allowed into drains or water courses and you can see from the next picture we offer a complete hydrodemolition solution, treating the waste water with carbon dioxide and settling the water before it is allowed to be discharged to drain. 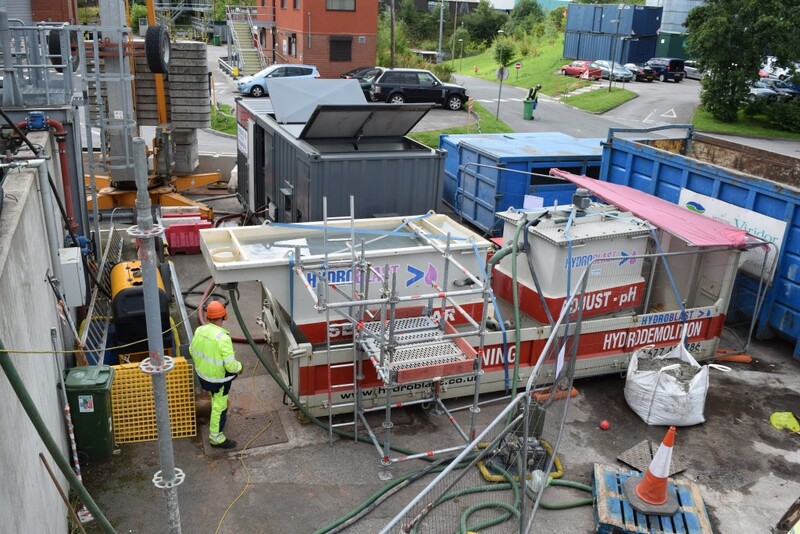 Our system based on “roll on – roll off” containers allows rapid set up , and is relatively compact on site.